Many Paris arrondissement guides are written by people so white, their blood type is J Crew. They portray the city as all macarons and flower stands, just like in An American Tail when mice sing that the streets are filled with cheese and there are no cats. I'm not sure what's more surreal- that I lived there so long, or that I don't live there anymore- but in my time there I developed disdain for the type of people who shied away from Belleville and Chateau-Rouge in favor of the 16th and 8th. Here's a rundown of the places I liked best and went often. It breaks my heart to think of the times I spent with my friends here so I doubt I'll update this post again; also, you'll have to Google certain things. I'm not Wikipedia! Musée des Arts Décoratifs: Go to the 7ème floor, then to the 20th century section. There's a hidden room with a view on all of Paris, from Sacre-Coeur to La Defense and Opéra Garnier. La Guinguette d'Angele- I prefer the one in Oberkampf because this one has everything prepackaged, although you can get cookies and drinks in your own containers. Average apartment: 1350-2200€ (Studio to 1 bedroom, 30-60m2, based on our apartment search and friends' rent prices). The smallest arrondissement and former financial district of Paris. Home of the Love Burger, Rue Montorgueil (which I don't like that much, I prefer Rue Saint Sauveur), and Silencio. Average apartment: 1500-1950€, see criteria above. I met my husband at Candelaria and looked at apartments here, but all the places we saw were expensive and gross. My friends and I used to buy vintage magazines at Ofr Galerie, then sit for hours at Le Progrès, sipping hot chocolate with Caroline de Maigret. Average apartment: 1600-3200€. A small studio costs over 900€ a month. 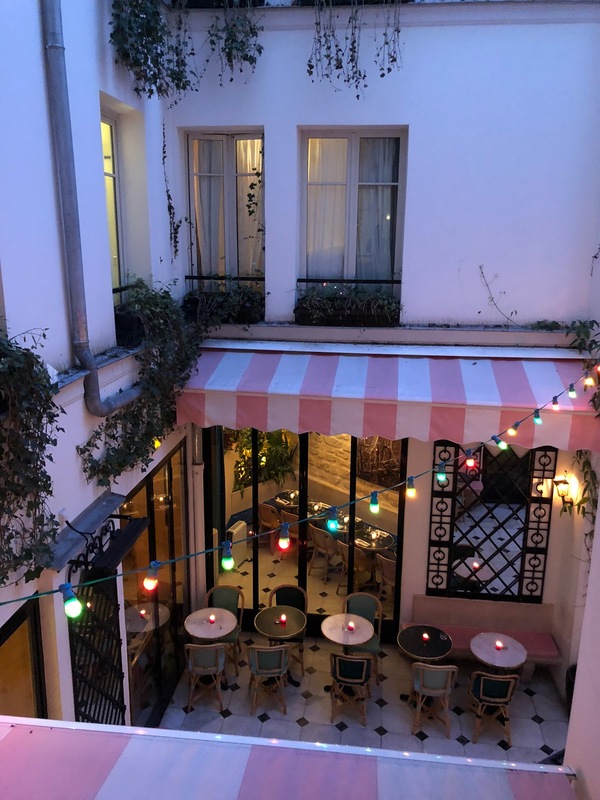 Aside from being the home of Ernest Hemingway and Jane Birkin, the 5th boasts L'Institut du Monde Arabe, which has one of the best views of Paris; and le Grande Mosquée, where you can enjoy North African tea and food. Ho Chi Minh worked here. I read Boris Vian as a teenager, so imagine how happy I was to run errands there - when I lived in the 7eme. Some of my chicest friends lived a stone's throw from Serge Gainsbourg's house. I've run into Karlie Kloss twice at City Pharma, and met the Prince of Nassau on Rue Saint Andre-des Arts. He was standing on the street with a pastel cardigan around his neck- I thought he was from Connecticut. Average apartment: 2300€ and up, triple that if you want balconies or a view overlooking the Seine/Luxembourg Gardens. The whole CAC 40 lives here, with famous residents including Bernard Arnault, Hubert de Givenchy, Kenzo, ScarJo, Yves Saint Laurent, Diane Pernet, Carine Roitfeld and Karl Lagerfeld. I'm biased, but apart from the abomination known as Rue Cler (shop at Day by Day and Le Bon Marche instead), this is the perfect arrondissement, safe, central, and filled with chic old ladies. There's nothing better than the look on people's faces when they hear you live in the 7th. Average apartment: 1900€ and up, depending on the area. The 8th is the Disney version of Paris. Tourists' affection for this arrondissement enrages me. Everybody looks at its residents and thinks that's how Parisians dress, but the only people who can afford to live there are Oprah and Chinese nobility. The Champs-Elysees is the worst- I can hardly recommend any restaurants here. The best place to eat is the private, presidential Cercle de l'union Interalliée. 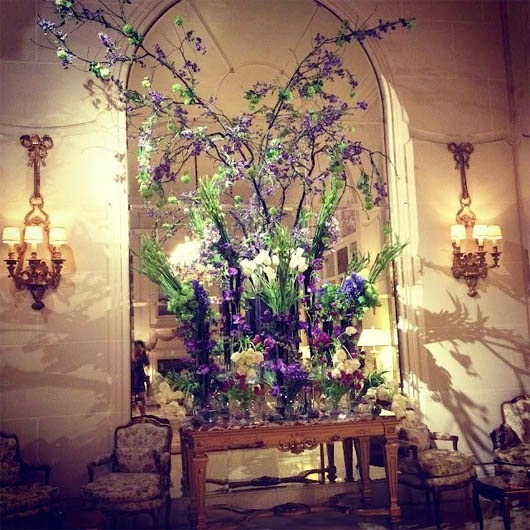 Musée Jacquemart-Andre: the private former home of husband and wife Edouard André and painter Nélie Jacquemart. When her husband died, Jacquemart traveled Asia to complete their art collection. Average apartment: 900€ for a studio to 1850€ for my friend Yulia's freshly remodeled 1BR with elevator, but that was a few years ago. My favorite Parisian streets and gluten-free restaurants cluster here, from Marche Saint-Martin to Les Bouffes du Nord. Don't let anyone tell you it's not safe- I walked these neighborhoods alone for years and always felt comfortable. I always stay at Hotel Grand Amour, which I think is one of the best values in Paris, and the restaurant serves vegan meals. The best arepas in Paris are on Rue Notre Dame de Lorette. Henriette Jansen: Cool interior atelier for ceramics, custom rugs, unique lamps, etc. Las Vegans: Vegan snack and ice cream shop with vegan donuts! Average apartment: 1600-2800€. Some of the most spacious and beautiful Paris apartments I've seen were around Gare de l'Est/Strasbourg Saint Denis. It's been a long time since I played piano at Pop-In, but I'd love to live in Oberkampf. When we lived at Pere Lachaise, one of my favorite walks was down Rue de la Roquette, past Rue Keller all the way to Rue du Faubourg Saint Antoine and Marche d'Aligre. Average apartment: A livable quartier- expect to pay 1100€ and up. My husband and I bike to Square Baudincourt on weekends and watch people practice nunchuks. I learned Roquefort contained gluten after eating a cheese-covered pear in la Butte aux Cailles. Average apartment: Apartments in the 13th can be modern- I visited one that looked so Fantastic Frank, with three bedrooms, a jacuzzi tub, and sleek fiberglass countertops. The 14th is more Haussmann style. 1500-2400€. The 15th is for families- make of that what you will. This area is still very French and amidst Japanese epiceries and private ateliers you can see boucheries chevalines selling horse meat. The world's largest Chipotle recently opened here. Average apartment: 1100€ and up. The Count of Monte Cristo lived here, and my friends have gorgeous, flower-filled apartments here, with floor-to-ceiling bookcases and snowy-white Eames chairs, but I'd almost rather live in Cleveland than the 16eme (that's an exaggeration but it's that bad). I once stayed in a house on Rue Spontini- five stories, wine cellar, marble staircase, ancient Egyptian art lying around. The house itself was nice, but in a boring neighborhood. At least the 17th has Place de Clichy, Rue des Dames, and Batignolles. As you head down Rue Biot to Rue des Dames, stop at Biotiful, Strobi, Marcel, Au Bout du Champ, and any of the handful of popular beer and cocktail bars, admiring the graffiti and murals above the garden. Goutte d'Or is a great place to walk, shop, and stay. Stock up on black soap at Barbes or wander around Villa Leandra and visit the former homes of Renoir and Toulouse-Lautrec on Cité des Fusains. My friend Allegra and I wandered around Chateau Rouge at night when I visited last, I love the plantains and spicy dishes at the small restaurants all around here. Average apartment: We paid 1300€ a month for our one-bedroom; a friend paid 2000€ for a giant place around the corner. We had dinner at James Bort's and Dorothee Gilbert's home and the apartment and views were spectacular. I highly recommend visitors stay here, in my favorite part of Paris. You'll interact with real French people and never be bored. Rent a sparkling new flat near Crimee, or enjoy the views at Philippe Starck's Mama Shelter, in a diverse neighborhood with the best Turkish food. Visit Belleville or Menilmontant for beautiful parks, street art, and karaoke bars. Average apartment: I know one person who lives in the 20ème and pays 1800€ a month for a gorgeous two bedroom- friends in Belleville pay less. The coolest apartment I've ever been to in Paris was on Boulevard Macdonald. To eat for free in almost any arrondissement in Paris: Click here. There are a surprising number of restaurants serving free meals, and some offer free buffets. Outside Paris: Recup Paris, Parc de Sceaux, Maison Louis Vuitton in Asnieres, Chateau de Vincennes for open air operas in summer, Chateau de la Roche Guyon where you can glean near Giverny, Chateau de Saint Germain en Laye (where Louis XIV was born), breweries and peach orchards in Montreuil, Pavillon des Indes (Ville de Courbevoie), Boris Vian's "pianocktail" in Bagnolet, Patrice Moullet's l'Atelier d'Experimentation Musicale in La Defense, Albert Kahn Museum and gardens (closed for a few years). And no, none of the photos match the arrondissements. the Prince of Luxembourg lives here - HAHAHAHAHA. Thank you for this lovely post. I am visiting Paris next month and will put this information to use! Hi Ariana! Thank you for the great list of ideas. My 19-year-old daughter and I are going to be in Paris in May and we enjoy doing the more non-touristy things, basking in the neighborhoods, meeting locals and just "being". That being said, this is her first time so we must do some of the usual sights. We also have a Cleveland connection; we live in Solon. My daughter is interested in all things New York and would squeal to get an internship there for the summer. She is a great writer, photographer, and very interested in fashion. We will definitely try to hit some of the consignment stores you have listed. I know it's a ways offs, but wondering if you would like to meet up with us while we are there May 8-18 or need anything from home. I went to Chinatown Belleville on your recommendation. And.....Jeanne Damas was there! https://www.instagram.com/p/BBD0D3ngENC/?taken-by=jeannedamas it was such a fun place! I LOLed at that Jcrew comment! I have family that live in the 14th in the Montparnasse section and I love walking around and food shopping on Rue Daguerre. There are some cute little restaurants and a really nice wine bar :) They have friends that live in Alesia and it was so surprising to me how different Montparnasse and Alesia were...even though they are still in the 14e! You're right, they are like two different worlds. The 14th is still a "French" part of Paris my friends say... as in not completely Americanized, so the restaurants must be very nice and more authentic than, say, my neighborhood. Glad you liked it! Thank Ariana for this amazing post that required a lot investment, I ve lived in the Paris suburb all my life but you made me discover Paris through your blog with fresh eyes, that's great! Thank you so much for this! We're heading to Paris (my third visit) in April and I'm delighted to have run across all of these notes. Hello. Thanks for a great post. As far as I know, Paris is one of the world’s most famous and popular travel destinations. I have heard many positive words regarding Paris.